Die hard Star Wars fans probably wouldn't consider Rogue One to be as good as the original episodes. 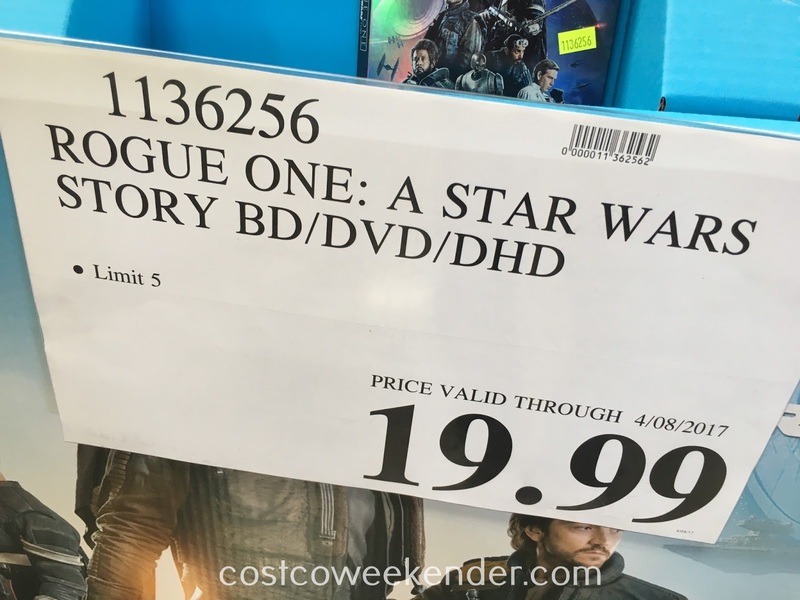 But I for one think Rogue One is the best Star Wars thus far. Episodes 4-6 are somewhat dated but Star Wars fans still have some nostalgia for them, and why not?! Episodes 1-3, well let's face it, just weren't that good. Whether it was too child-like (think Jar Jar Binks) or just confusing on how Anakin just all of a sudden turned to the dark side in Revenge of the Sith, Rogue One can stand on its own. It certainly isn't a feel-good movie...it's darker than other Star Wars films, has lots of action, and will take you for a thrill ride. True Star Wars fans will appreciate how the movie fits in to the original Episodes with the way it's tied in with A New Hope. Although you won't see Luke Skywalker or Han Solo, you'll still enjoy seeing Jyn, Cassian, Bodhi, K-2SO, and the rest of the rebellion fight Krennic, Darth Vader, and the evil Empire and its Death Star. 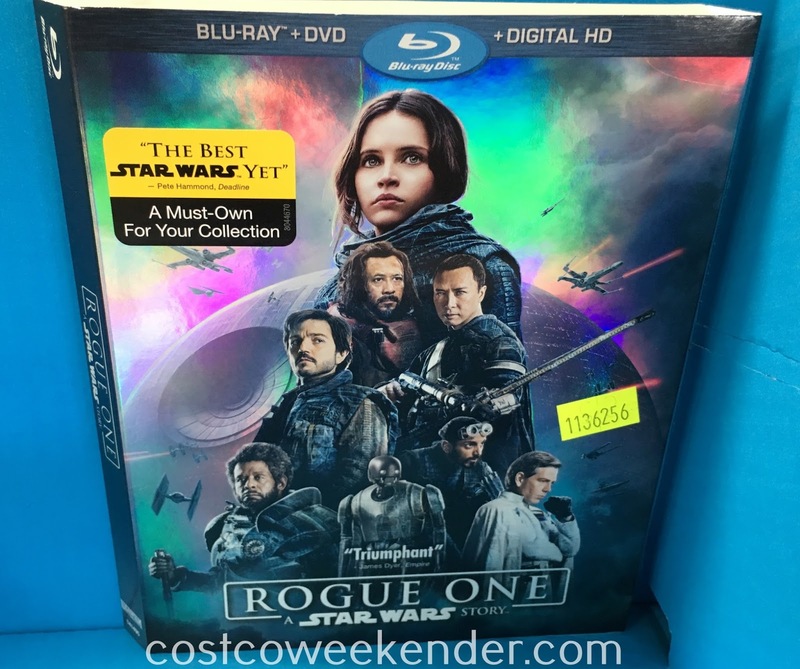 Rogue One: A Star Wars Story Blu-ray and DVD - From Lucasfilm comes an epic adventure. 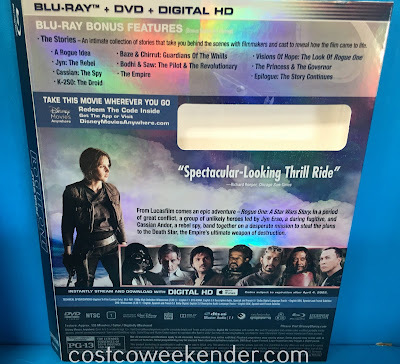 In a period of great conflict, a group of unlikely heroes led by Jyn Erso, a daring fugitive, and Cassian Ador, a rebel spy, band together on a desperate mission to steal the plans to the Death Star, the Empire's ultimate weapon of destruction.